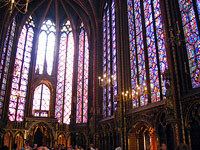 Saint-Pierre de Montmartre is one of the oldest churches in Paris. 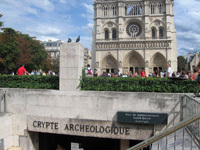 Located just next to La Basilique du Sacré Coeur, it was built on the site of a Roman temple and consecrated in 1147! Wow! That's old. 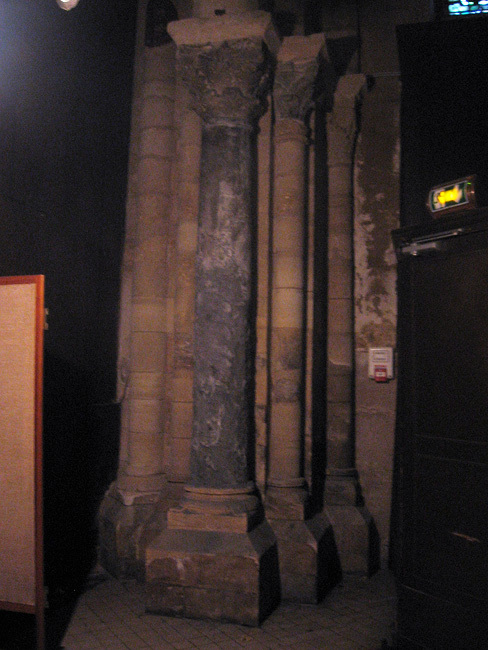 These days Saint-Pierre de Montmartre is mostly known for the four Roman columns dating from the 7th century that are still standing inside. 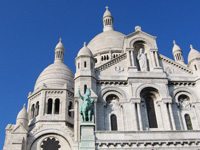 Like I mentioned, Saint-Pierre de Montmartre is right around the corner from Sacré Coeur. 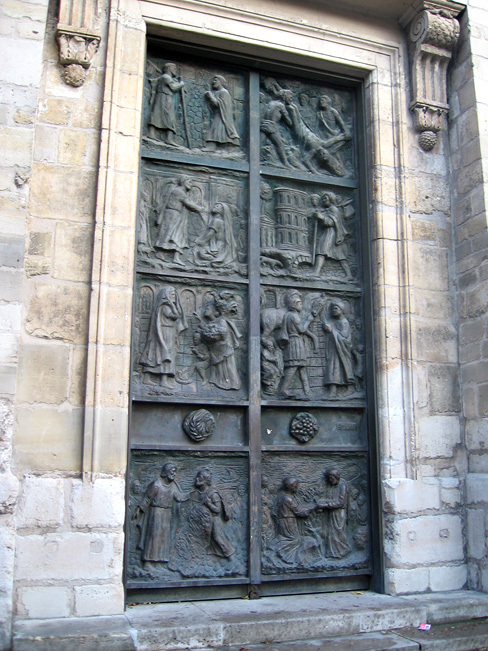 The church entrance faces a small, quaint old town square called the Place du Tertre, which is full of artists sketching portraits of tourists; you will definitely be approached about this, usually by an eccentric type carrying a big clip-board and some charcoal. Anyway, whether or not you feel like shelling out the Euros for a portrait, this whole area is neat and totally worth exploring. It really feels like a little slice of Old Paris. 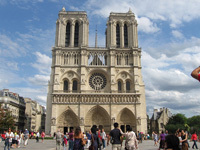 Discover 2,000 years of Paris history. 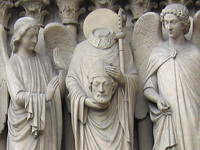 The decapitated guy you'll bump into all over Paris. 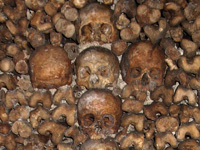 More skulls than you can shake a femur at. 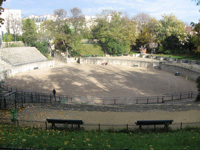 The site of an ancient Roman arena in Paris!